The official opening ceremony of the UEFA Europa League museum took place in Baku on December 22. Minister of Youth and Sports of Azerbaijan Azad Rahimov, Vice-President of the National Olympic Committee Chingiz Huseynzade, President of Association of Football Federations of Azerbaijan (AFFA) Rovnag Abdullayev, member of the AFFA Executive Committee Iskandar Javadov, Ambassador of the Europa League Final Baku-2019 Vali Gasimov, the football community and athletes participated in the opening ceremony. The museum will operate until January 7, 2019, and will be free for visitors from 15:00 to 22:00. The entrance is free. The first visitors to the museum were members of the Junior League U-12. The exhibits presented by UEFA aroused great interest. The honorary guest of the museum was previously famous Argentine forward and currently coach of the Argentine Football Club Banfield, Hernan Crespo, who held an autograph session from 12:00 to 13:00 on December 23, and then hold a briefing for the media. At the briefing, Crespo said that organization of the museum is at a high level and he enjoyed it. “This is my first time in Baku, I really like it here. Organization of the event is at a high level. I got great pleasure from communicating with fans. I will try to come to the final, where I would like to see Chelsea, Inter or Lazio, the teams for which I played,” said Hernan Crespo. 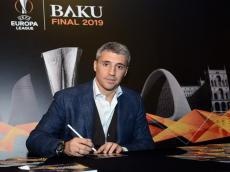 Hernan Crespo’s visit was organized as part of the preparatory campaign for the Europa League Final, which will be held at the Baku Olympic Stadium on May 29, 2019. The Europa League museum consists of three parts, where the exponents reflect the history of the Europa League. Among such exponents are the forms with autographs of teams and football players participating in the final games of 2008-2018, the official ball of the games of the Europa League, as well as the balls with autographs used in the Europa League final matches. In addition, the special monitors installed at the entrance to the museum show unforgettable moments of the Europa League, goals scored in the final matches, as well as various interesting moments and episodes of football games in history. 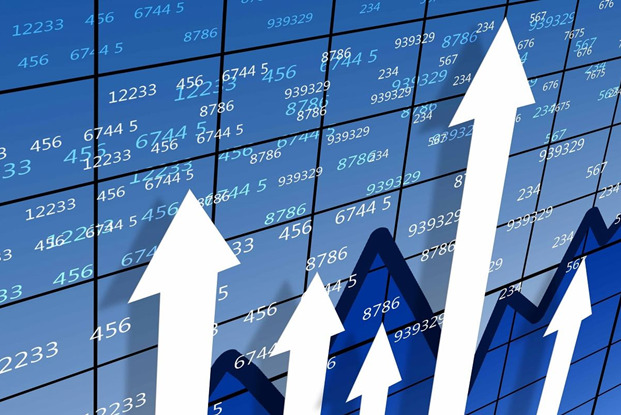 This will allow all exhibitors to go back into the past of one of the prestigious club tournaments of the Old World - the Europa League, to re-experience the atmosphere of those years. In the recreation area and games, guests can take part in interesting and entertaining programs, as well as in various competitions allowing them to demonstrate their knowledge and skills about football. In addition, autograph days are organized in the museum - sessions with local and foreign football stars. These days, museum visitors will be able to get to know the players, get an autograph from them and take pictures with them. The Europe League Museum was built in front of the National Museum of Literature of Azerbaijan named after Nizami Ganjavi.